Ok, so if you know me at all, you know how totally obsessed I am with Kraftin' Kimmie stamps! I maybe have said it a time or two. 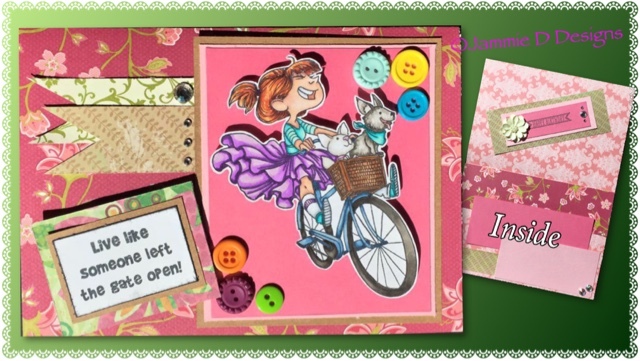 Anyways, this weeks' challenge is to make a card for spring! So, I did just that! 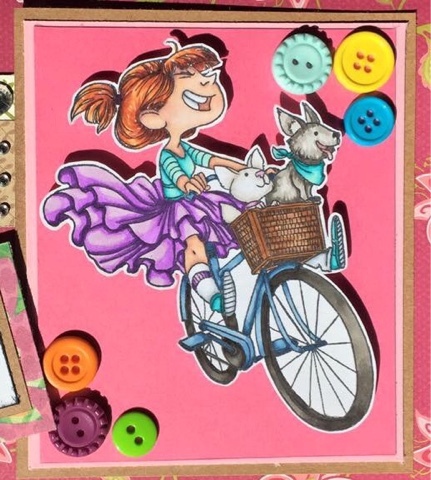 This cute little image is called Minnie, Maisy, and Me! It's too adorable and oh so challenging to color! Wow! That petticoat she is wearing required a lot of thought. It was a challenge, but way fun!! This also satisfies the sketch challenge they have posted for the month! Woohooo! Ok, now time to enjoy some of the sunshine we have today! Happy crafting!